King of AmaZulu Goodwill Zwelithini holds land imbizo - SABC News - Breaking news, special reports, world, business, sport coverage of all South African current events. Africa's news leader. 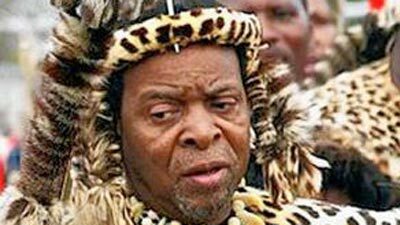 The Zulu King wants the Ingonyama Trust to remain intact. Thousands of people are on Wednesday expected to descend on Ulundi, north of KwaZulu-Natal, to attend an imbizo convened by the King of AmaZulu Goodwill Zwelithini. At the centre of the imbizo is the land debate which has attracted opposing views from the society. The King has in the past accused government of trying to take away land from his people. This follows the proposal by the High level panel, led by former President, Kgalema Motlanthe, that the Ingonyama Trust should be scrapped. The King of AmaZulu wants the Trust to remain intact. At the dawn of democracy the apartheid government signed over control of at least three million hectares of land in rural KwaZulu-Natal to the King of AmaZulu. Traditional leaders currently manage the land on behalf of the monarch. Now the panel led by Motlanthe has said ordinary people don’t benefit from the land under the Ingonyama Trust. It recommended that the Trust be scrapped and people be granted title deeds. The King of AmaZulu has in the past said he will not give government the land his forefathers fought for. This entry was posted on 04 Jul 2018,08:42AM at 8:42 AM and is filed under South Africa, Homepage Featured Story Slider. You can follow any responses to this entry through the RSS 2.0 feed. Both comments and pings are currently closed.